Apples! We all know and love apples. They’re one of the most widely consumed fruits in the world, and are used for many recipes that we know and love. They’re sweet, good for you, and easy to enjoy on the go. But just how many Facts About Apples do you know? As it turns out, there’s a lot to love about this sweet fruit! Our facts about apples cover it all: from how to shop for apples, how to store apples, the health benefits of apples, and more! We’ll also share our favorite apple recipes with you. Win, win! Facts About Apples: What is an Apple? We’re all familiar with apples! They’re a sweet fruit grown on trees, and they come in a range of colors from red to green to yellow. The apples we’re most familiar with in the United States are the Red Delicious and Granny Smith: your typical (and tasty) red or green variety! But did you know there are more than 7,500 varieties of apples grown worldwide? It’s true! Did you know these facts about apples? Of course, not every one of those 7,500 varieties are grown commercially or even for eating. Some apples are too sour to eat on their own and are instead grown for cider! Even so, in the United States, more than 100 apple varieties are available commercially. That’s a lot of apples! And for good reason: apples come in so many delicious varieties for cooking our favorite apple recipes. With so many varieties available to you, you might ask: how do you pick a good apple? Or you might wonder how to tell if an apple is fresh? Let’s start with picking a fresh apple! We all have our method of picking fruit at the store. Maybe you smell your fruit to check if it’s fragrant (we do too)! When it comes to apples, they should be crisp, firm, and bruise-free. You can safely eat apples with bruises, but bruised apples will spoil faster than apples without bruises. Before you pick your apple variety, think about what apple recipes you plan on making! Are you baking with apples? Making a salad with apple slices? Maybe you want to try your hand at making your own applesauce? What you plan to make with your apples is important! For baked apple recipes, the Granny Smith apple is a good choice. 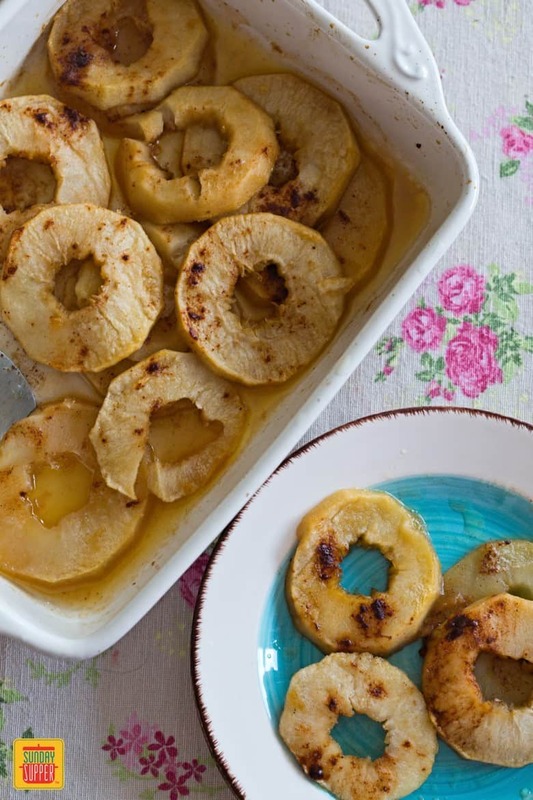 They’re firm and hold up well in the oven, making them one of the best apples for baking. 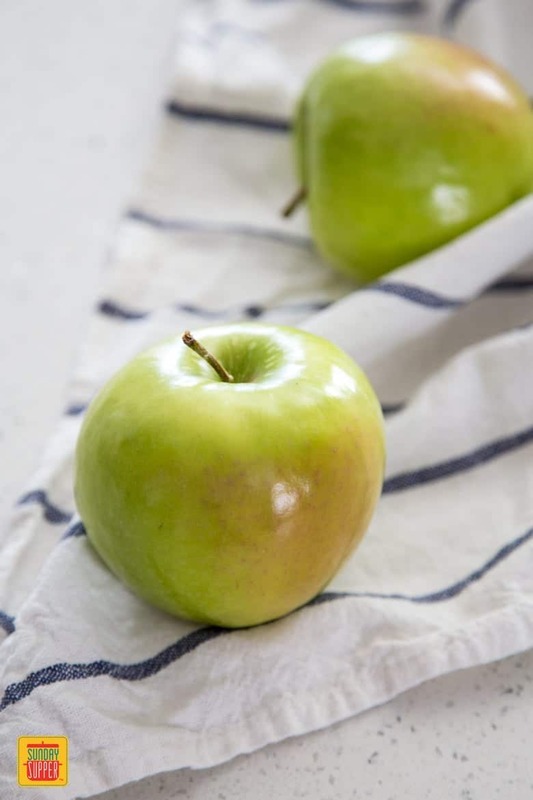 If you prefer a sweeter apple to bake with, try the Golden Delicious. Golden Delicious apples taste, well, delicious in an apple pie! When it comes to making a salad with apples, try the Fuji variety or similar apple varieties. They’re juicy, sweet, and crisp, so they make a delicious addition to leafy greens, especially when paired with a blue cheese and nuts like pecans. Here’s one of our favorite facts about apples: every apple has its purpose, and they’re all so tasty! How many different kinds of apples have you tried in your apple recipes? Now that you’ve picked out the perfect ones, what’s the best way to store apples? How long can you store apples? As it turns out, your apples could last you all month if you store them correctly! If you want to keep your apples fresh for longer, keep these facts about apples in mind. You’ll want to start by buying the right variety of apple. That’s right: some apple varieties stay fresher longer! Make sure the apples you’re storing are in good condition. Apples with bruises and cuts won’t last as long, so it’s better to store apples that are in perfect shape. Apples do best in cool, crisp environments. Store them alone, preferably in the crisper drawer of your refrigerator. Do not store your apples with other fruits! And, if you’ve ever heard the adage ‘one bad apple spoils the bunch’, then you’ll know to keep an eye on your apples. Don’t keep one bad apple with your apples: it will spoil them all! We’ve all heard the old saying ‘an apple a day keeps the doctor away‘! There’s a good reason for that: apples are packed with health benefits. Apples are full of nutrients and antioxidants. They’re rich in Vitamin C, dietary fiber and minerals like potassium and calcium, but their benefits don’t end there! Apples offer a healthy dose of pectin, a natural booster for digestive health. With so many healthy facts about apples, it’s worth it to add more to your diet. We promise we won’t tell if that means baking them into a sweet apple pie! Here’s a few cooking facts about apples: you can bake, fry, stew, or even microwave apples! There are many different ways to prepare apples in your favorite dishes. Have you ever prepared apples in the microwave? Believe it or not, you can bake, stew, or boil apples using your microwave! To make baked apples in the microwave, for example, prepare your apples by coring and slicing them. Season them with cinnamon and sugar, and then microwave them for just a few minutes. You could even add some butter for a little extra flavor! What about frying apples? Fried apples are a traditional, delicious comfort food perfect for Fall. And, good news: they’re easy to make! 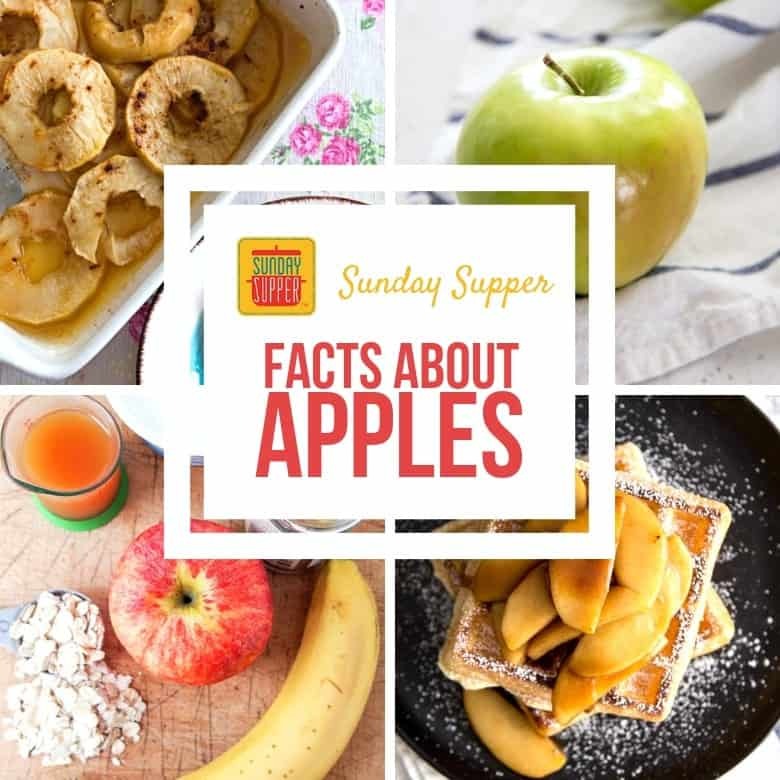 Peel your apples, core and slice them, and fry them in a pan with butter and your favorite apple seasonings like cinnamon and sugar. Baking apples is easy, too. You’ll want to make sure you have good baking apples. 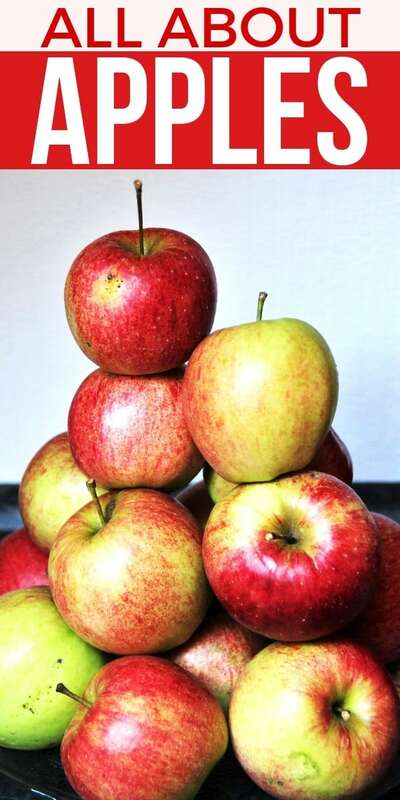 Read our section on how to shop for apples to find out how to choose the best apples for baking! For baking apples, you can either prepare your apples by coring and slicing them or coring them and leaving them whole. If you leave them whole, leave the bottom in tact and fill them with your favorite seasonings. Bake them until they’re brown and tender for delicious baked apples! Stewing apples is a great way to bring out their natural, strong, sweet flavor. Core, peel, and finely chop and season your apples. 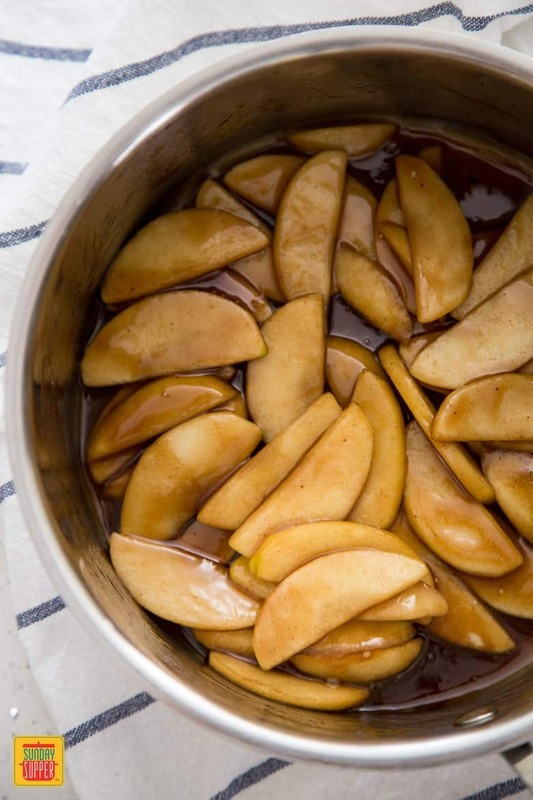 Cook your apples in a saucepan until they’re as tender as you like for delicious stewed apples. Now that you’ve learned all you can about apples, you might be wondering: what apple recipes should I make first? 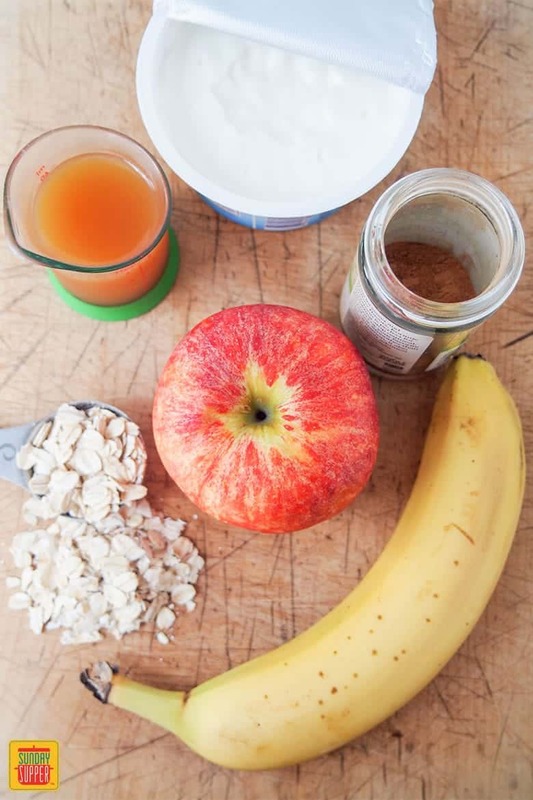 Don’t worry, we have a few suggestions for you on how to make easy apple recipes for everyday! Make applesauce at home! Homemade applesauce is easy to make and goes well with your favorite recipes, especially pork. Try this Homemade Applesauce Recipe from The Forked Spoon! Candy your own apples! Candied apples may not be an “everyday” treat, but candied apples are easy to make and make great holiday gifts. Your friends and family will love them! We recommend this Super Easy Candy Apple Recipe from The Suburban Soapbox. Bake your apples! We mentioned how easy it is to bake apples. Try this Simple Baked Apples Recipe from Happy Healthy Mama and see for yourself! Apple smoothies are fun and perfect for Fall! Start off your day with Sunday Supper’s Green Apple Smoothie or how about an Apple Pie Smoothie from The Seasoned Mom for breakfast. Loaded with fruit, protein, and Fall spices, you can’t go wrong! Try frying apples! Frying apples is an easy, classic way to enjoy this delicious fruit. This recipe for Southern Style Fried Apples from New South Charm combines juicy apples with butter, brown sugar, nutmeg and cinnamon. Yum! Top your salad with apples! Apples make a great addition to salads. We recommend this Spinach Salad with Apples and Vanilla Poppy Seed Dressing from Beyond Mere Sustenance. It’s incredible! It’s easy to enjoy apples every day, and with so many good facts about apples and apple health benefits, it’s worth it to eat more. Enjoy all the apple recipes you want for Fall!